EL SEGUNDO, Calif.–(BUSINESS WIRE)–Please replace the caption with the accompanying corrected caption. KARL STORZ Endoscopy-America, Inc., a leader in endoscopy, imaging and operating room integration solutions, is pleased to announce the launch of NIR/ICG Fluorescence Imaging, an IMAGE1 S™ technology. The only FDA-cleared ICG technology for endoscopic neurosurgery in a 4 mm format, the KARL STORZ NIR/ICG Imaging System assists surgeons in making critical decisions that may reduce the occurrence of costly complications. It is a tool that is creating a new standard of care in minimally invasive neurosurgery. KARL STORZ will launch the 4 mm NIR/ICG Imaging System during the 2018 CNS Meeting at Booth 1135 in the George R. Brown Convention Center in Houston, TX. 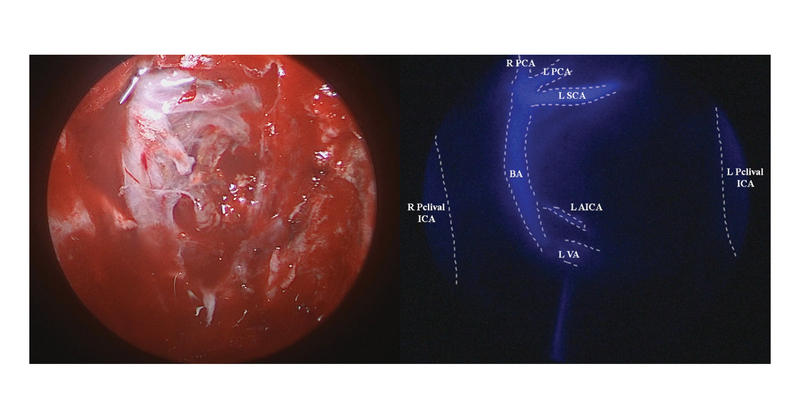 The KARL STORZ NIR/ICG Imaging System enables live visualization of structural landmarks beneath the tissue surface, with no latency, using near-infrared (NIR) imaging to detect indocyanine green (ICG), an optical imaging agent administered to the patient during the procedure. Neurosurgeons can benefit from enhanced visualization of patient anatomy using NIR imaging to detect ICG distribution in tissue. This enables intraoperative evaluation of tissue perfusion and vascularization, identification of critical neurovascular structures, and differentiation of tissue planes between lesions and adjacent structures. Key components of the KARL STORZ NIR/ICG Imaging System include: our 4 mm rigid NIR/ICG neuroendoscopes, in 0°, 30° and 45° for visible white light (VIS) and NIR illumination and imaging, the D-LIGHT P 300W Xenon light source with foot pedal for easy switching between white light and NIR mode for optimal work flow efficiency, a color HD video camera head capable of capturing both VIS and NIR imaging, a fiber-optic light cable, and KARL STORZ ICG Kit. KARL STORZ Endoscopy-America, Inc., is an affiliate of KARL STORZ SE & Co. KG, an international leader for more than 70 years in reusable endoscope technology, encompassing all endoscopic specialties. Based in Tuttlingen, Germany, KARL STORZ SE & Co. KG is a family-owned company that designs, engineers, manufactures, and markets all its products with an emphasis on visionary design, precision craftsmanship and clinical effectiveness. For more information, call (800) 421-0837 or visit the company’s Web site at www.karlstorz.com.